Consumer interest in health and wellness, along with the increasing demand for prepared meal solutions, will be driving forces shaping the future of retailers' fresh departments in the coming years according to SN's annual Fresh Foods Survey research. 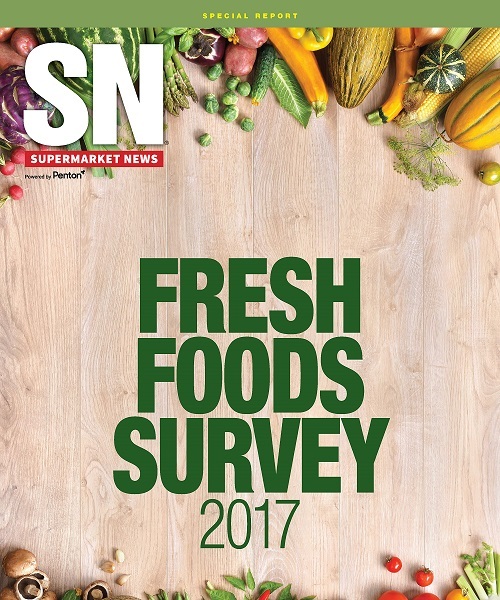 Supermarket News' annual Fresh Foods Survey is unique in tapping into industry attitudes on the fresh foods trend. In addition to a comprehensive summary of results, this report includes the complete data set and remarks from nearly 160 SN subscribers, representing a cross-section of chain and independent food retailers, manufacturers, brokers, wholesalers and others with a stake in fresh foods in grocery. Their responses paint a nuanced picture of attitudes on the fresh food trend by those experiencing it in their businesses everyday. Purchase and download this exclusive, insight-packed survey report today!